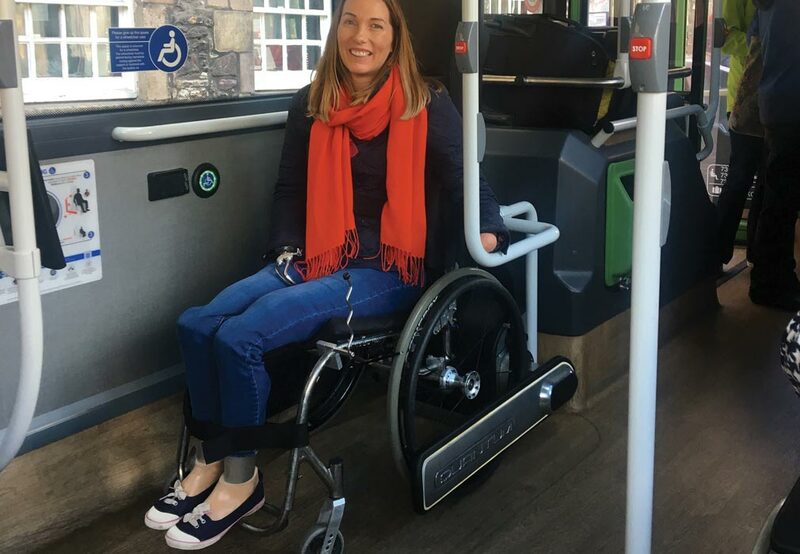 Having trialed Quantum last year in Edinburgh with Route One magazine I wanted to demonstrate to members of The Mobility and Access Committee for Scotland (MACS) how the device works and to seek their opinion as to whether it was a beneficial system for wheelchair users. As a member of the Disabled Person’s Transport Advisory Committee (DPTAC) I was aware of the existence of MACS as they have a similar role in Scotland which is as an advisory non-departmental public body. 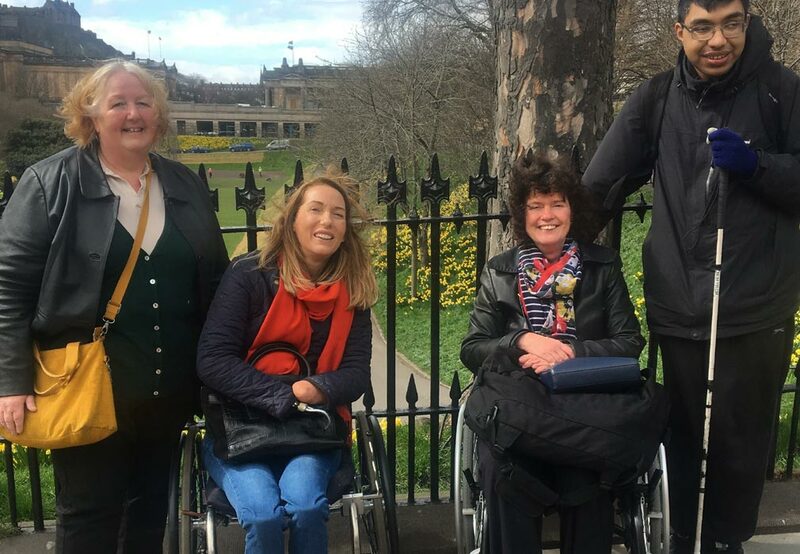 However, this visit was not conducted in an official DPTAC/MACS capacity but was simply a group of disabled people coming together to look at and try out the Edinburgh tour bus. All opinions voiced in this report are therefore made in an individual capacity. Marsali has been a Trustee and Director of the MS Society and a Director of Aberdeen based North-East Sensory Services. She sat on the Aberdeen City Children’s Panel for two terms and currently works as a volunteer with the Faculty of Health and Social Care at RGU Aberdeen. Marsali has professional skills and experience as a Social Worker and as a Solicitor and has a wide personal experience of travelling as a disabled person. Hussein was elected as an RNIB Scotland Member Representative in 2011 and to the RNIB Scotland Committee shortly thereafter. He was co-opted onto the strategic Living with Sight Loss Programme Board and also sits on the Travel, Shopping & Control of Money Programme Board within the same organisation. He is a member of the Scottish Accessible Transport Alliance with a particular interest in accessible rail and local bus transport. Hussein has a background in Business Management, Innovation & Change and Internet Information Systems with e-Business. Sheila has wide experience in the provision of public transport and associated infrastructure, having worked for over 25 years in the public and third sector. She is secretary of the Ross and Cromarty Access Panel and serves on the Boards of the Bradbury Centre (Bonar Bridge), Ross-shire Voluntary Action and the Scottish Disability Equality Forum. In her working life with the Community Transport Association, Shelia supports third sector transport providers throughout Scotland but mostly in the Highlands and Islands as she is based near Inverness. She is also involved with groups who provide day care in the community. I had arranged to meet my colleagues at 1.00 but thought it best to turn up a few minutes early. Within seconds a lovely lady approached me to ask if I was interested in a tour and explained all the different routes and what I would see. My only feedback here is that it was raining and very windy and it would have been nice to have had a bus shelter of some kind to wait in. I appreciate that most people could get straight on a bus but if you wanted to consider your options before getting on it would be nice to have somewhere it sit and wait. When the driver saw that he had two wheelchair users to get on he very swiftly got the ramp out and we were able to board. We had assumed that one of us would have to transfer to a seat so it was a pleasant surprise to see there were actually two separate spaces for wheelchairs. Marsali took the place with the Quantum and the driver explained what she had to do. Marsali very easily pushed the button and was very quickly secured. I sat in the other wheelchair space and applied my brakes. We were both glad to have a screen looking forwards as this really helped with knowing where everything was. The only difficulty we experienced was having left and right effectively back to front and it would have helped having an “R” and “L” either side of the screen to help remember where to look when the guide was speaking. The driver drove very smoothly but when we got into the winding roads my wheelchair started to slip and slide. Sheila Fletcher stood up at one point to try to hold me in position. Marsali experienced none of these issues with the Quantum. In fact Marsali was so secure she was able to use her mobile phone whereas I had to use both my hands to hold on. Marsali and I discussed our different wheelchairs and the fact that that my wheels are solid. I have these as I would not be able to change a tyre. However, Marsali’s wheels were filled with air. We felt that my type of wheel may make the sliding issue worse. We therefore decided to swap positions. It was a relief for me being in the spot with Quantum and I was now able to relax and enjoy the tour a lot more as I wasn’t having to worry about sliding about. Marsali’s wheelchair seemed to be able to withstand the sliding to start with but when we turned to come down a hill her wheelchair slid out very quickly into the aisle taking everyone by surprise. 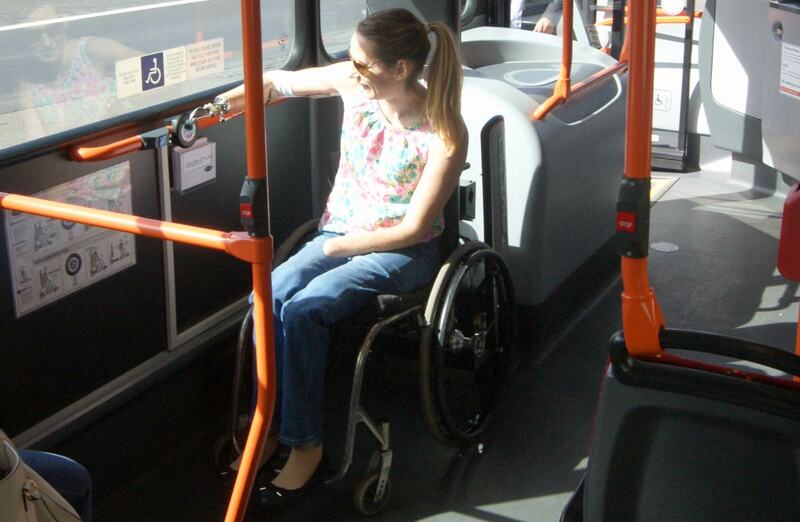 This was nothing to do with the driving of the bus which was very smooth and careful it is just what happens to wheelchairs on buses. 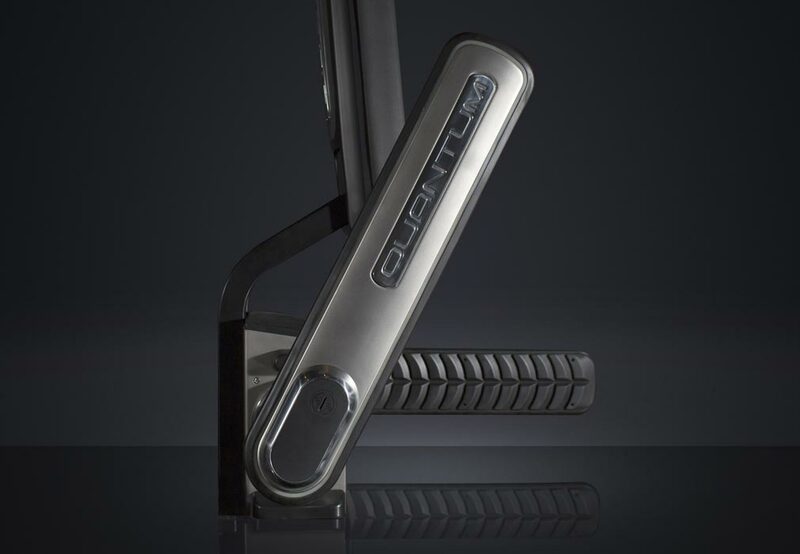 We chose to stay on the bus for the duration of the trip as our main purpose was to have a look at Quantum. However, the guide always made sure the driver knew if people were getting off so they had plenty of time to disembark. As the only member of our group with a visual impairment was Hussein who was very interested to see what the guided tour was going to be like. He found it very interesting and informative and his only comment for improvement was that he would have preferred more references to how tall something was so given a rough estimate in metres as opposed to saying, “this building is very high”. After the tour Hussein Patwa said: “It was a very enjoyable day and a chance to see how an outfit catering to tourism has taken on board accessibility and was also open to constructive critique and praise”. The Edinburgh Tour Bus is probably the most accessible tour bus in the world and I would recommend that more is done to promote this. 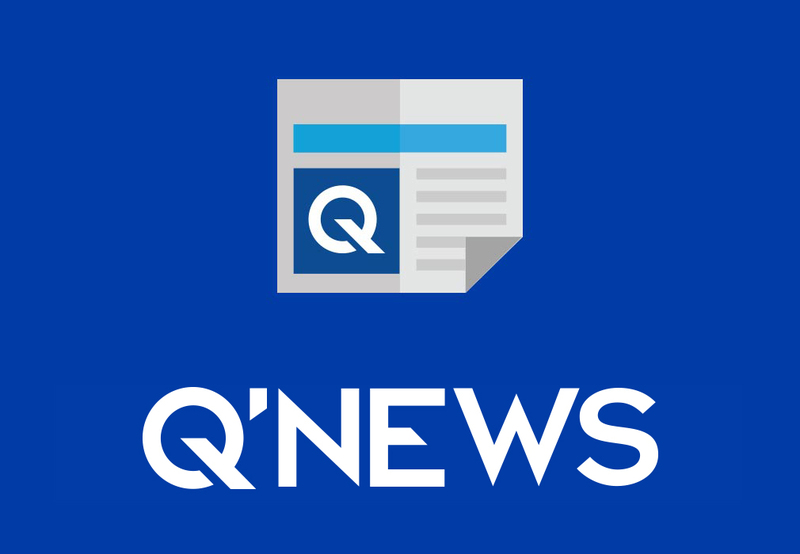 With two wheelchairs side by side, one secured with Quantum and one without it is very easy to see the difference Quantum makes to the safe securement of wheelchair passengers. Sheila Fletcher said: “It is a wonderful system and I will be telling everyone about it”. 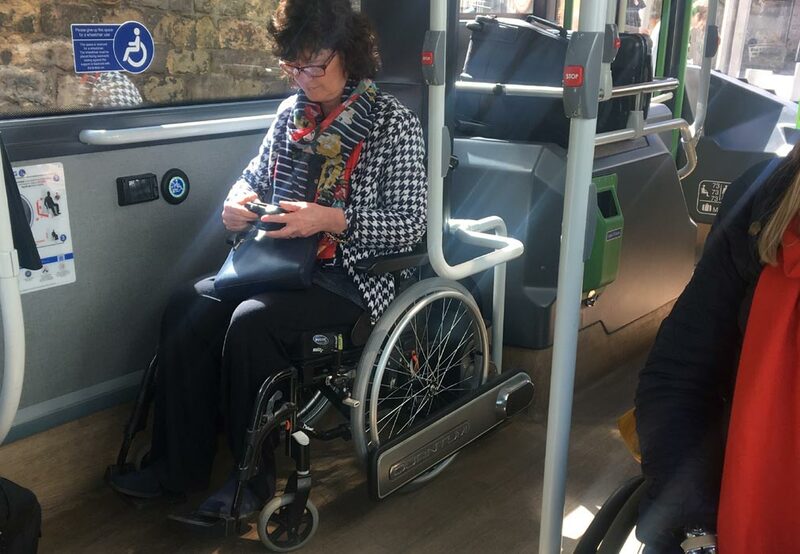 I recently carried out a report which showed that 9% of wheelchair users have had their wheelchair fall over on the bus and a large majority have reported skidding and sliding. Quantum stops these problems and Lothian should be promoting the fact that this will not happen on the tour and you can just relax and enjoy it like everyone else. I caught the bus back to the airport and it would have been great to have had Quantum here too as when you’re surrounded by luggage and lots of other people it would have been so much better to know you weren’t going to move anywhere.